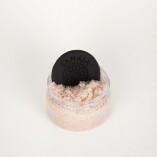 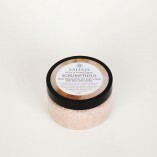 SCRUMPTIOUS Organic Himalayan Pink Sea Salt Scrub For Face and Body gently exfoliates while nourishing your skin with hydrating oils and raw honey. 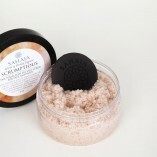 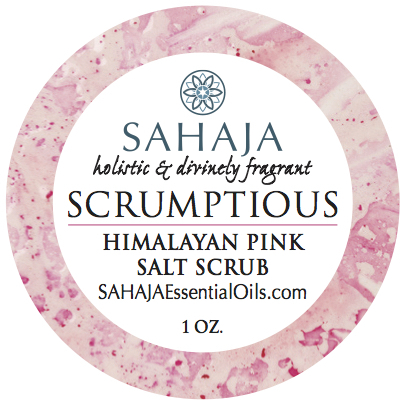 SCRUMPTIOUS is hand-crafted in small batches and made from the highest quality ingredients, including: Himalayan pink sea salt, raw honey, organic jojoba, calendula, coconut & vitamin E oils, all infused with pure, unadulterated therapeutic grade Bulgarian Rose, Bulgarian Lavender and Roman Chamomile oils. 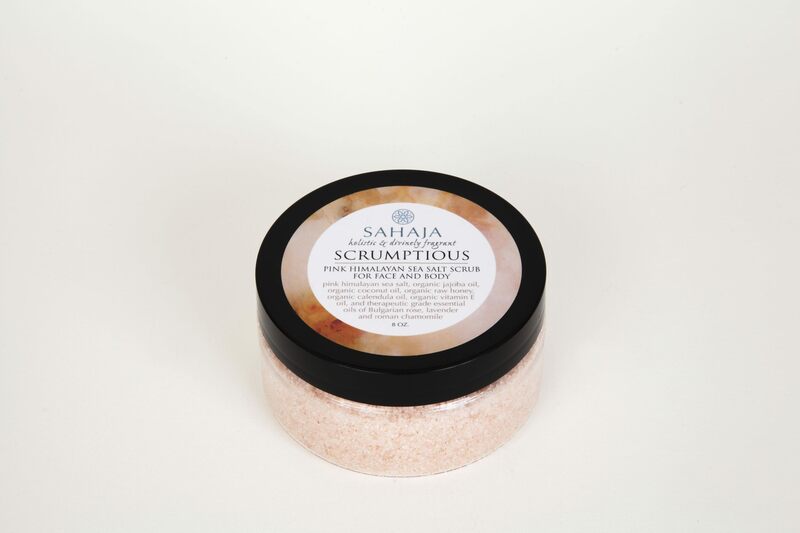 SCRUMPTIOUS Organic Himalayan Pink Sea Salt Scrub For Face and Body gently exfoliates while nourishing your skin with hydrating oils and raw honey. 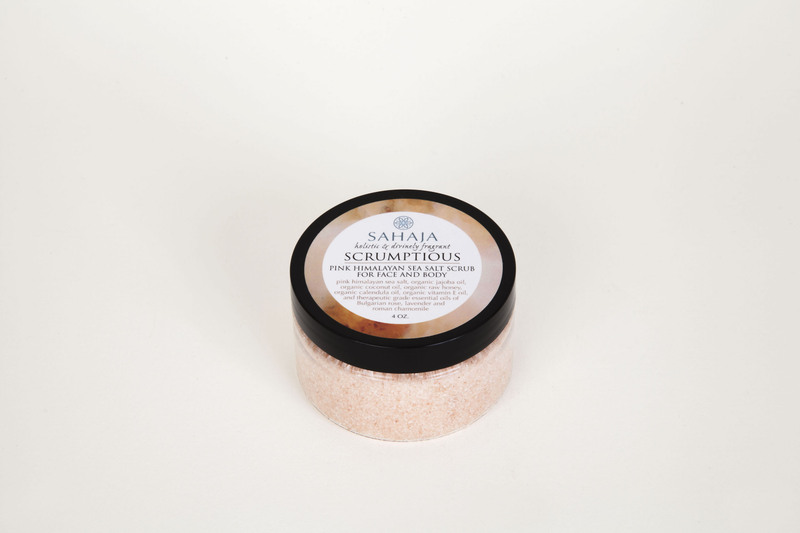 SCRUMPTIOUS is hand-crafted in small batches and made from the highest quality ingredients, including: Himalayan pink sea salt, raw honey, organic jojoba, calendula, coconut & vitamin E oils, all infused with pure, unadulterated therapeutic grade Bulgarian Rose, Bulgarian Lavender and Roman Chamomile oils. 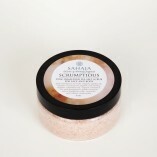 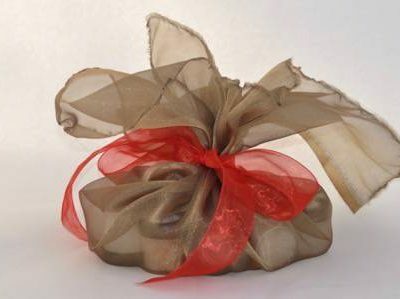 SCRUMPTIOUS has an exquisite honey-floral scent and is one of our most popular products. 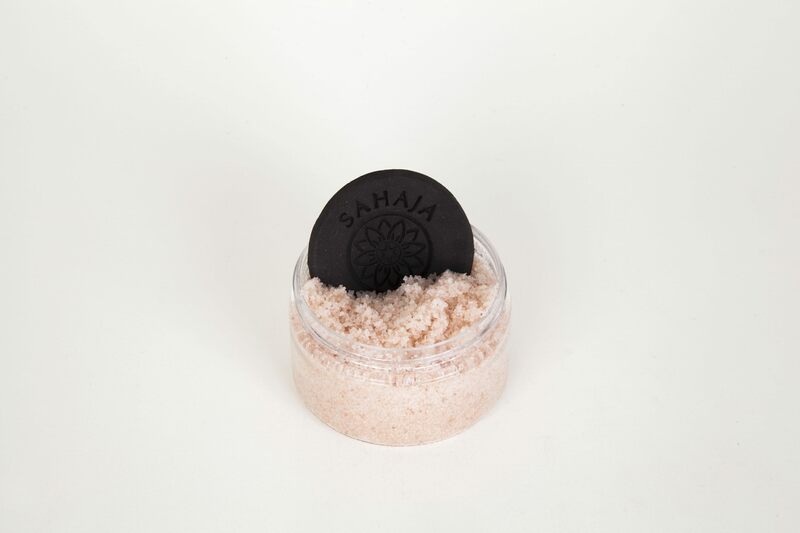 Every tub comes with an artisan ceramic scoop imprinted with the image of a beautiful mandala. 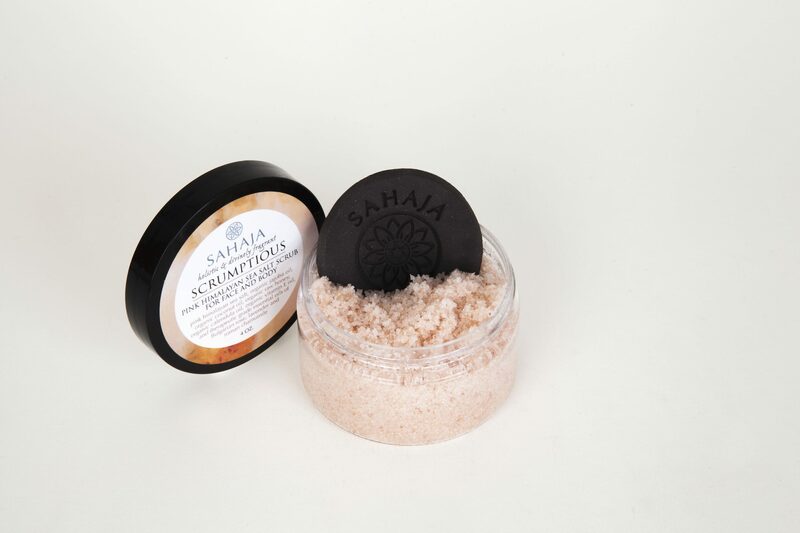 Individually crafted by Topangan potter, Kirsty Iredale, these scoops can be used long after your tub of SCRUMPTIOUS is empty and they will retain the fresh Rose scent. 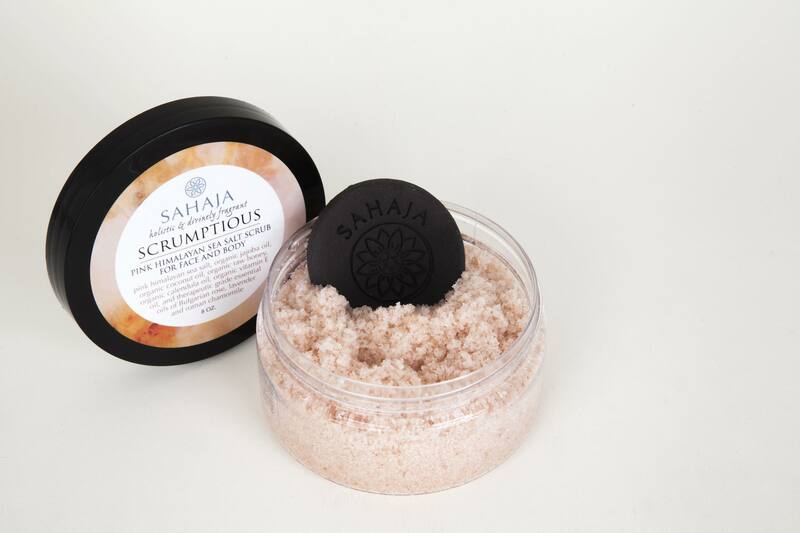 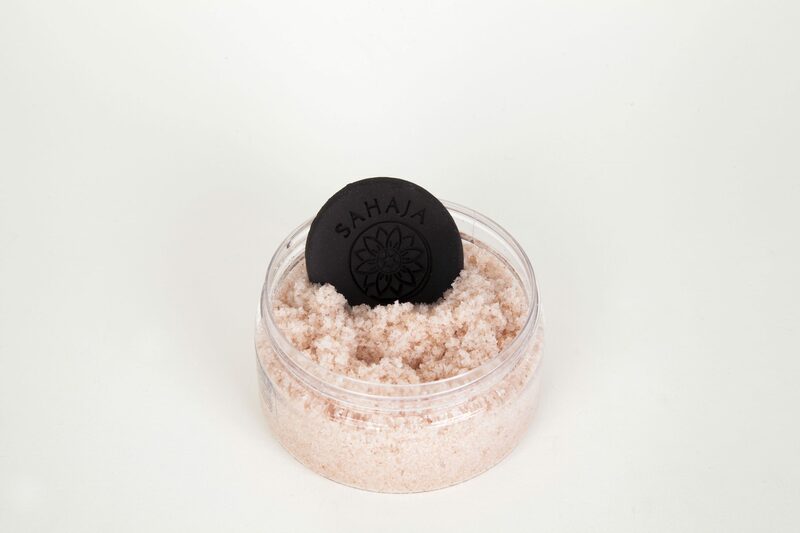 Directions: Scoop a modest amount of SAHAJA Scrub into the palm of your hand and gently massage onto your face, hands and body, exfoliating and nourishing your skin. 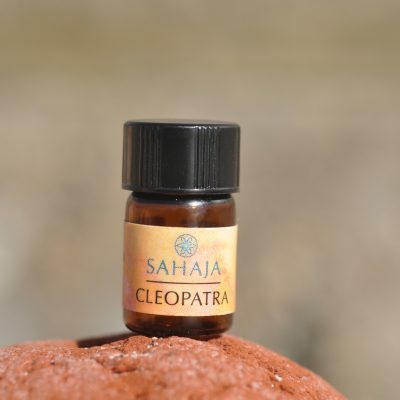 Inhale the magnificent scent. 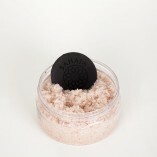 Remove with warm water in a bath, shower or with a moist washcloth.